News Professor Miikka Vikkula wins First Generet Award! 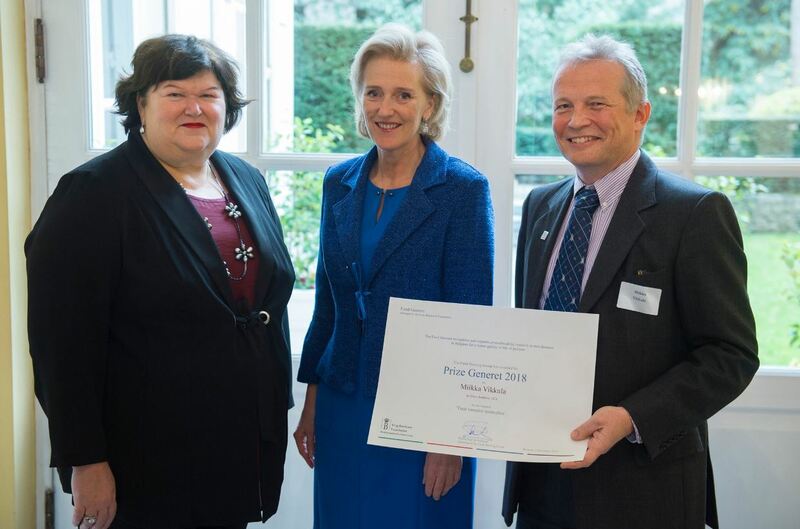 We would like to congratulate Professor Miikka Vikkula, our Vascular Anomalies Working Group (VASCA-WG) Chair, for being awarded the first Generet Award, with a prize of €500,000 for research into rare diseases! Read the official press release in from The King Baudouin Foundation in English, French or Dutch. We are very happy that Prof. Vikkula has been recognized for all of the hard work he does to improve the lives of patients with vascular anomalies and we look forward to seeing how his research group at de Duve Institute – UC Louvain (working with the Centre for Vascular anomalies of the Cliniques universitaires Saint-Luc) will continue to further uncover the genetic causes of vascular anomalies and develop novel treatments for patients with this group of rare diseases.